Racism is the unfair treatment of people because of their race. 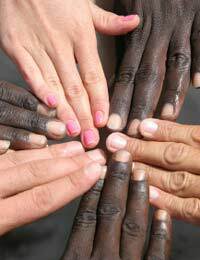 This may be the colour of their skin or their cultural heritage. Racism may be a direct attack and blatant discrimination or it may be more subtle in the form of harassment. However, if any opportunity is closed to you because of your race, or you are made to feel unwelcome, then you are facing racism. Whether it is direct or indirect, if practices and policies disadvantage you because of your religious beliefs then you are facing religious discrimination. If any jokes are made about your religion, you feel victimised or receive threats then this is also discriminatory behaviour. Does the Law Protect Against Racial and Religious Discrimination? The race relations act and employment equality regulations are both in place to protect people against any discrimination on the grounds of skin colour, race, religion or ethnicity. These laws cover both direct acts of discrimination, indirect acts, victimisation and harassment. They allow you take action against any employer who discriminates against you on such grounds. Some people are just ignorant of religious and racial differences and are unaware of what they are saying or doing, Try to talk to these people, explain your background and why what they are doing is offensive. If this doesn’t work, then start keeping a log of any incidents and put together a record of any direct or indirect discrimination. This will help you if you decide to report their actions. How Can I Report Racial or Religious Discrimination? Your company should have a complaints procedure in place that allows you to report any type of discrimination or unfair treatment. Your complaint should be dealt with professionally and objectively by an internal board. If you feel that this hasn’t been dealt with fairly, or you want to take action against the company as a whole then you should seek professional advice and may want to take you case further. Employment tribunals are available to seek legal resolution of any unfair treatment. Nobody should be discriminated against because of their race or their religious beliefs. If you feel that you have been treated unfairly then don’t suffer in silence, Try to talk directly to the people as they may just be ignorant about your beliefs or background, If this does not work then you may want to take further action. Keep a log of any incidents as this will help you if you decide to take your complaint to an employment tribunal.